Jose Antonio Rodriguez grew up in Wilmington California and currently lives in Long Beach California with his wife and three children. Mr. Jose Rodriguez is passionate about helping others and building a coalition to help raise awareness about the growing global problem of homelessness. IF YOU ARE GOING TO GET A BODY PIERCING ANYWAY CHOOSE LULUS BODY PIERCING BECAUSE THEY GIVE BACK TO CHARITY! Lulus’s Body Piercing is an awesome retailer at the Westminster mall that gives back with a smile. 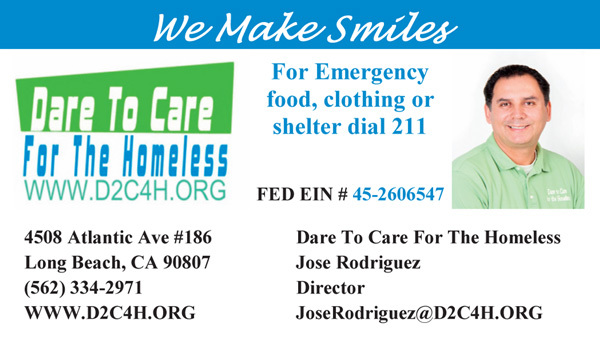 They use their social media platforms to promote Dare to Care for the Homeless and other charities. They also do fundraisers and encourage their customers to give to charity. ​By supporting retailers like supporting Lulu's Body Piercing we can help transform our society into a better place. We must make a conscientious effort to support only businesses that have a reputation for giving back to the community they do business in. “This single idea supporting only businesses that give back will make this world a happier and more loving place.” Says, director and co- founder of Dare to Care for the Homeless, Jose Rodriguez.